Awe, San Diego! It is a beautiful city home to numerous picturesque beaches and alluring coastal landscapes. However, did you know that San Diego is also a very kid-friendly city that caters to a broad and diverse range of interests and subjects. 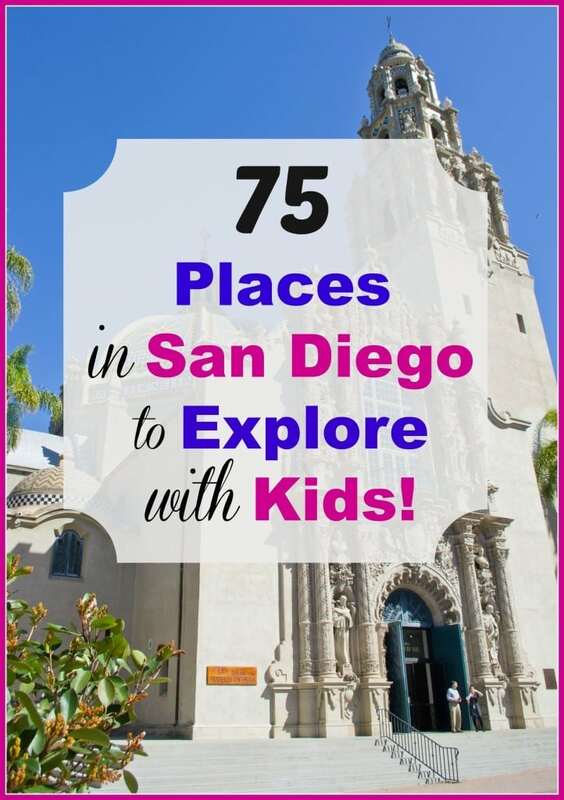 Wherever your children’s interest may lie, you’re sure to find a place in San Diego, that will provide them with deeper insight, engagement and inspiration. 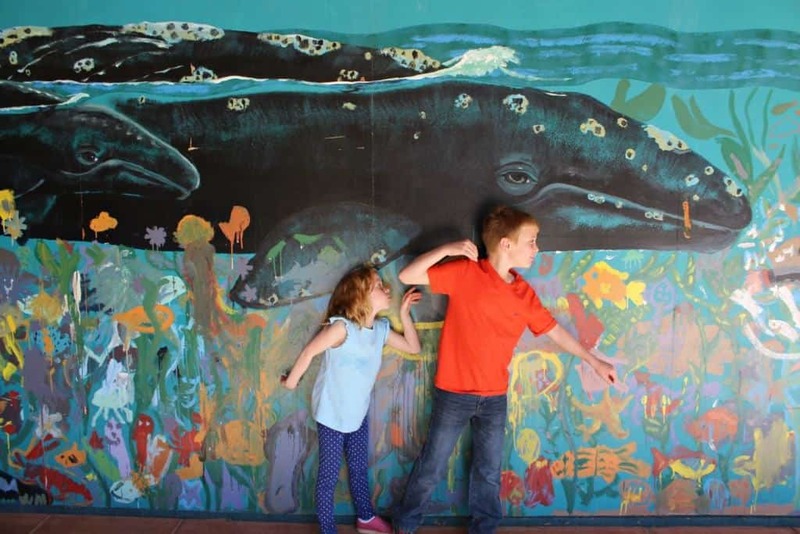 From the fine arts, including classical, contemporary and folk art, to science and natural history, San Diego offers an abundance of options for children. 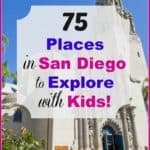 Therefore, I have compiled a list of 75 kid-friendly places in San Diego County that love little visitors and hosts field trips for students. Some of them are free. Some cost a few dollars. But as always, you know your children best, so please call ahead of time to make sure it is an appropriate venue to take your own family. The Adobe Chapel was originally built in 1850 as a home, and was converted to a church by Don José Aguirre in 1858. After having been bulldozed for street realignment in the 1930s, the WPA rebuilt the adobe chapel in 1937. Much of the interior artifacts from the original chapel have been retained, including the tabernacle, the altar with its beautiful marbleized finish, some woodwork including pews and doors, and José Aguirre’s tombstone is laid in the floor. Open Saturday & Sunday, 12-4pm and by appointment. The Museum’s collection represents thousands of years of history—some objects dating as far back as 10,000 years—and it demonstrates the artistry and skill of the hemisphere’s first inhabitants. The Museum is excited to present a series of fun and educational classes that reflect upon native cultural traditions of San Diego County Indians. Classes are open to the public and are held at the Museum. Bates Nut Farm in Valley Center provides families the opportunity to spend time on a working farm. While there, you will learn how the farm transformed itself from a groove of walnut trees to a full fledge retail business today. Take a tour and discover how nuts get from the tree to your table. Tours are available for groups of 15 or more. Call 760-749-3333 for reservations. Birch Aquarium at Scripps is the public exploration center for the world-renowned Scripps Institution of Oceanography at UC San Diego. Perched on a bluff overlooking the Pacific Ocean, the aquarium features more than 60 habitats of fishes and invertebrates from the cold waters of the Pacific Northwest to the tropical waters of Mexico and beyond. An oceanographic museum showcases research discoveries by Scripps scientists on climate, earth and ocean science and includes five dozen interactive elements. Field Trips for students are offered year round. The Bonita Historical Society is dedicated to preserve, for public education and enjoyment, the culture, history, art, crafts, and aesthetic facets of the region, specifically El Rancho de la Nacion in South San Diego County. The Bonita Museum contains two large galleries for visitors to view cultural exhibits. The front gallery presents a portion of the museum’s permanent collection which depicts the history of the Rancho de la Nacion – the Sweetwater Valley. The larger second gallery presents changing exhibits such as local Fine Arts and other local history. Butterfly Farms share their knowledge about butterflies with in-depth educational tours of their vivarium and grounds. Educational Workshops are held Monday through Friday beginning at 10am, the last workshop is at 3pm. The educational workshop lasts approximately 1 hour. There is a minimum of 15 students per workshop. Accommodations will be made for large groups. Teachers are free. The Museum at the California Center for the Arts, Escondido is an inviting 9,000-square-foot exhibition space that boasts three galleries, a sculpture court, and a museum store. Through its Education Department, the Center offers a multitude of enlightening and informative programs for students, teachers and the general public, including: field trip opportunities, weekday performances for youth, artist – and performer-led master classes, free arts and crafts workshops for families, teacher workshops, music education programs and more. Every kid gets a thrill discovering how things work. A free VIP-style restaurant tour at CPK is a unique opportunity to step behind the counter and see what happens in our kitchens. Kids will love learning the secrets about pizza making from the experts in our hands-on pizza demo. Each kid also receives an activity book, CPKids pencil, and a certificate for a free CPK Meal on their next visit. Behind-the-scenes tours are for schools and non-profit organizations and recommended for kids ages 10 and younger. It is very fun and lasts approximately an hour. Please contact a CPK Manager to learn more at all participating locations. The California Surf Museum serves as an international repository and resource center on the lifestyle sport of surfing through capturing, preserving, and chronicling its art, culture, and heritage for the education and enjoyment of future generations. They offer field trips for groups year round. Four galleries explore Coronado’s early history, Navy and Army’s role in Coronado, Hotel del Coronado and Tent City. A special exhibit gallery changes quarterly. All banjos made by the Deering Banjo Company are exclusively hand-built by the owners, Janet and Greg Deering, and their team of 48 dedicated banjo specialists. Over the last 40 years they have made more than 100,000 banjos. They love visitors and welcome folks to take a tour of their factory anytime by calling (800) 845-7791. Free Flight was originally established in 1981 as a boarding and breeding facility by Dr. Robert Stonebreaker. However, after sometime Dr. Stonebreaker noticed that some of his clients were unable to care for their birds and brought them back to him. 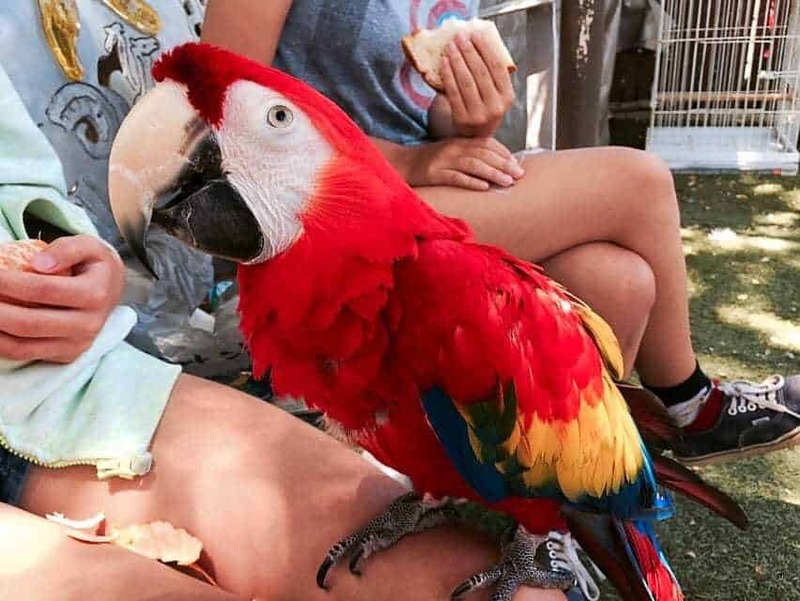 Hence, Free Flight eventually evolved into a one of a kind exotic bird sanctuary where birds and people interact together. First Flight offers field trips for schools groups, homeschoolers and scout troops year round. A field trip includes a personal tour of the facility and the opportunity to feed the birds and fish in their koi pond. The only official Marine Corps Aviation Museum in the U.S., including over 40 aircraft and other military equipment and vehicles on display, History of Women Marines exhibit, and a Museum Store. What sets this museum apart from all others is the fact that it is the only museum in the world dedicated to preserving the incredible contributions made by Marine Corps aviators and their ground support personnel. The museum has 34 aircraft and over a dozen military vehicles and support equipment on display on 7 acres along Miramar Rd, with a direct access entrance gate. The 4,000 sq ft indoor facility has memorabilia and artwork from WWI to present day to include displays on Women in the Marine Corps aviation, Marines in the NASA space program. They also have an Open Cockpit Days program where the public can sit in several select few vintage aircraft and enjoy the cockpit experience of Marine Aviators. The Gaslamp Quarter Historical Foundation (GQHF) is housed in the historic district’s oldest standing structure, the Davis-Horton House (1850). As the steward of the Gaslamp Quarter’s architecture, culture and history, GQHF operates the house as the Gaslamp Museum to share information about San Diego’s early history through exhibitions, tours of the house, and guided tours of the Gaslamp neighborhood, Tuesday – Saturday. GQHF offers many tours for their guests from architectural and historical Children’s Tours, to Gaslamp Quarter Walking Tours, to tours of the Davis-Horton House, and to Ghost Tours and Paranormal Investigations. Their programs serve as educational tools that allow the Foundation to fulfill its mission of preserving the architecture, culture and history of the Gaslamp Quarter, while sharing San Diego’s amazing heritage along the way. GIA offers a field trip program for students in 4th grade and up. They also have a museum featuring gems from all over the world that is available to be seen by appointment only. To schedule an individual or group tour of the museum call 1-800-421- 7250. The museum is an educational and cultural center featuring the prehistoric and historic art, culture, and natural history of the Americas. Artifacts and art serve as a documentation of life and civilization throughout the ages. Field Trips for 2-6 grades are scheduled from 10:00 a.m. to noon. There is a maximum of 40 students. Students are free. At Little Creek Acres Farm there are dairy goats and sheep who know their names, chickens you can visit, cats that talk to you, farm dogs who love attention, as well as a veggie garden and an orchard to explore and learn in! The farm offers a two and a half hour experiential learning tour for youth groups of 5 to 90, ages 6 and up, scheduled March through November. Enjoy the beauty and tranquility of the garden, which features a zen rock garden, koi pond, traditional Japanese art, and garden features. All garden tours are free with paid admission! The Girl Scouts of San Diego Imperial Council, Inc., in collaboration with the Garden also developed a craft program to fulfill badge requirements. For around $10.00 each child will get a tour of the restaurant (including the kitchen), make their own pizza and receive a fun card that includes 1 ride. Field Trips are held Monday – Thursday before 3:00 pm. You need a minimum of 12 kids to book a tour. Please call each individual location to schedule a tour directly. The museum offers a field trip for elementary and middle school students called San Diego Before Statehood. Journey back in time and tread in the footsteps of the padres, soldiers, and settlers who established the first mission and presidio in Alta California. Through a combination of museum educator/docent facilitated or teacher-led activities, explore a section of Presidio Park, learning about the plaza, stables, jail, chapel, and commander’s house that lie protected underground today. Inside the Serra Museum, investigate artifacts that reveal the daily life of the Kumeyaay, the Spanish, and the Mexican inhabitants of early California. “Meet” real historic figures by dressing in costume as Juan Rodriguez Cabrillo, Father Junípero Serra, Guillermo Carrillo, Señorita Pico, and Josefa Carillo de Fitch, all important leaders in the early years of the city. Keys Creek Lavender Farm is San Diego’s counties only USDA certified organic lavender farm. About two dozen varieties of lavender are grown on the 8 acres lavender farm. After harvesting the lavender is processed into a variety of products which are available for purchase at the farm gift store. During the summer blooming season (May and June) Keys Creek Lavender Farm is open Wednesday through Sunday from 10:00am – 3:00pm. The rest of the year the farm is open for private events and tours. Dedicated to preserving and making accessible the unique cultural heritage of La Jolla through exhibitions, education programs, research programs, and public outreach. In our newly renovated Wisteria Cottage galleries LJHS provides high quality, rotating exhibitions that explore the rich culture of La Jolla and interpret history for contemporary audiences. Their education programs include BEtalks: Dialogues on the Built Environment and youth summer camps in photography and architecture. The LJHS archive consists of photographs, postcards, architectural drawings, and oral history recordings; plus bound collections of local newspapers, street and land use files, and business and personal documents. The Lions, Tigers & Bears Sanctuary in Alpine is home to 17 species of animals located on a ranch with a rich history to explore, including a historical adobe. All visits to the sanctuary are by appointment only. You can choose from being a member-for-a-day, feed a big cat or bear of your choice or plan a school field trip. They also offer patrons the option to stay the night at their exclusive White Oaks private retreat. Advance reservations are required. Check out Groupon from time to time for discounts for this location. walking trails & sunshine by the bay! Lux Art Institute is redefining the museum experience to make art more accessible and personally meaningful. At Lux, you don’t just see finished works of art; you see the artistic process firsthand. Luxcursion – Experience creativity in action with a field trip to Lux Art Institute. The Luxcursion includes a docent-led tour through the outdoor sculpture garden, artist’s studio and exhibition areas, followed by a related hands-on art project. K-8 students. High School and College Tours – Bring your class for an interactive tour which include a 45 minute docent-led exploration of the artist studio for high school and college groups. Classes have the opportunity to meet the artist-in-residence or sketch in the studio. The Maritime Museum of San Diego enjoys a worldwide reputation for excellence in restoring, maintaining and operating historic vessels. The museum has one of the world’s finest collections of historic ships, including the world’s oldest active ship the Star of India.The Museum displays permanent and temporary exhibits on maritime history, commerce and exploration and stages popular public events such as “The Chocolate Festival”, “Pirate Buccaneer Birthday Bash”, “Festival of Sail each Labor Day weekend”, and family sleepovers on the Star of India. The Maritime Museum of San Diego offers group and guided tours to accommodate the needs of school groups, touring groups, youth groups, community groups as well as offering a discount with your visit. Tours are led by trained and knowledgeable museum staff who bring history to life through storytelling and reenactment. Tours typically encompass visits to a number of ships including Star of India, HMS Surprise, B-39 Submarine, the 1898 Berkeley and the 1904 Medea as well as their galleries and exhibits which display a wide variety of maritime topics. Any tour can be designed to emphasize particular interests such as subjects related to a school curriculum. The George and Anna Marston House in Balboa Park is a 8,500 square-foot home with five acres of gardens and trails, and is one of the most interesting house museums in all of California. George Marston is known as the father of Balboa Park, San Diego’s first citizen and is acclaimed as one of San Diego’s earliest environmentalists, conservationists and historic preservationists. School guided tours for grades 1-12 of the Marston House Museum includes a certificate good for a free return visit with a paying adult to the Marston House Museum and Gardens. Minimum 15 people including chaperones. Mingei International Museum preserves and exhibits folk art, craft and design from all eras and cultures of the world. Mingei celebrates human creativity, and the belief that everyday object and materials that often serve a useful purpose can also be objects of beauty. The Museum’s collection now comprises more than 26,000 objects of folk art, craft and design from 141 countries. The museum offers free tours for all K-12 when booked in advance. Enhance your Docent-led tour with a hands-on art workshop inspired by the art forms on view in the galleries. Classes must be booked at least two weeks in advance in conjunction with a Docent-led tour and are offered based on availability. At just over 6000 feet above sea level, Mount Laguna is one of the most popular places to see winter snow coming from the San Diego area. If there is snow, chains are required and you’ll need to purchase them ahead of time. The Laguna Mountain Lodge has reasonably-priced accommodations, a Visitor Center and Adventure Passes for sale. In 1909, Amy Strong, a famous San Diego dress designer, hired architects to build her dream home on the Ranch. They pitched tents on the site for their own accommodations, drew renderings and blueprints. The home was completed by 1921. The Strong home in Ramona is the vision of this artistic woman, the talents of her architects, and the philosophy of the Craftsman Movement. The Castle has twenty-seven rooms and is made of eucalyptus, oak, and redwood, rocks and flagstone, adobe, bricks and tiles, plaster, concrete and stucco. Tours are available daily. MCASD offers guided tours and ArtLab workshops for middle and high school groups. A Look/Explore Tour is an hour-long, student-centered dialogue in which students gain a greater understanding of the works on view through visual inquiry and in-gallery activities. Gallery Educators facilitate lively conversations on a select number of artworks, site-specific installations, or the architecture of the Museum to allow students to deeply engage with the works discussed. Look/ Explore Tours must be scheduled at least 3 weeks in advance and any applicable fees must be paid in full a minimum of one-week prior to the tour. San Diego County Public and Charter Schools receive free admission. Independent Schools and Schools Outside San Diego County required a minimum of 15 participants and are charged a fee. ArtLab Workshops build on the Look/Explore Tour with an additional hour of hands-on art making experience in which students further explore process and materials. For over ten years, the Museum of Making Music has provided opportunities for cultural enrichment while preserving our musical heritage through special exhibitions, innovative concerts and educational programs aimed toward a wide range of audiences. Designed for children ages 3 to 5, the Preschool Fieldtrips provide an interactive exploration of the Museum. Children will discover instruments like the cello, saxophone, ukulele, piano and more! Tours feature a storytime, a group drum circle and a special take-home surprise! 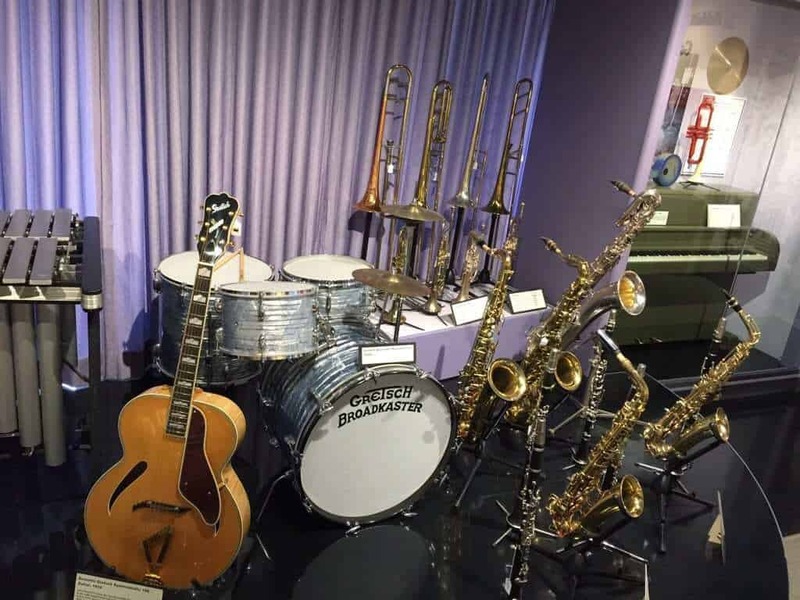 The Museum’s MusicVentures Fieldtrip takes students on a musical exploration of the people, historical events and innovations that influenced music making and musical instruments. Led by a trained facilitator, students embark on creative thinking adventure through the instruments on display, sound and video clips, and an interactive activity. The mission of the Museum of Photographic Arts is to inspire, educate and engage the broadest possible audience through the presentation, collection and preservation of photography, film and video. MOPA is a center for visual learning, passionately dedicated to sharing and exploring the universal language of photography. Enjoy a free gallery tour for your school group. Two-weeks advanced notice required. One chaperone per every 15 children (age 18 and under) is required. Here researchers study the behavior and biology of various native butterflies in their Butterfly Vivarium, conduct field trips, cultivate plants in a greenhouse and rear butterfly livestock. 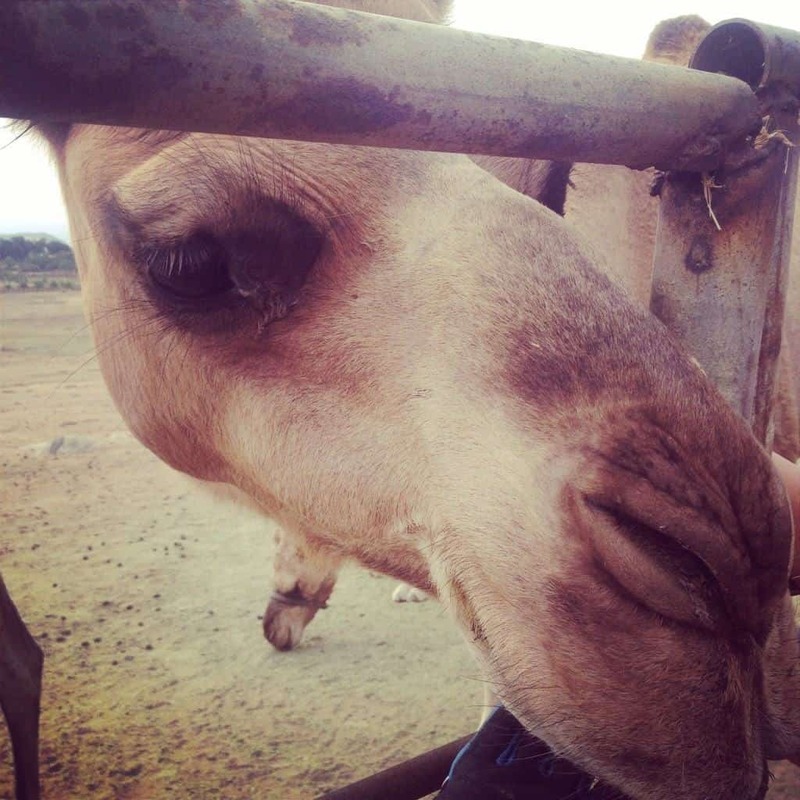 An unusual family; Gil, Nancy, a small handful of very dedicated animal caretakers and a huge family of camels, birds and other farm animals call the Oasis Camel Dairy home. Located on thirty-four rolling acres, this unique “farmily” supports the efforts of furthering the education of the public world-wide about the amazing nature of camels and their milk. They also offer camel rides! Public tours are available once a month and school field trips are offered throughout the year. Please send an email to contactus@cameldairy.com for details. The mission of the Oceanside Museum of Art (OMA) is to educate and inspire the public through a diverse range of engaging exhibitions and programs that connect people with regional, as well as national and global artists and art forms of the 20th and 21st centuries. The museum has more than fifteen highly praised modern and contemporary art exhibitions per year. OMA offers engaging docent tours for groups and individuals. Group tours are complementary for OMA members and students, and a small fee for non-members. This specific planetarium is the 5th largest planetarium in California. The theater has 138 seats that sit under a 50-foot Astrotec dome. The planetarium hosts field trips for area schools all year long. At the planetarium students are given a brief tour of current constellations and the night sky. The students are then taken on an informative virtual journey through the Solar System. Palomar Observatory is owned and operated by the California Institute of Technology. The Observatory is a popular destination in Southern California and receives tens of thousands of visitors a year from all over the world. Most come to see the famous 200-inch (5.1-meter) Hale Telescope — for decades the largest effective telescope in operation. They also offer guided tours of the facility. Palomar Mountain is a hidden gem surrounded by the The Cleveland National Forest. Home to Palomar Mountain State Park, the Palomar Mountains include peaks ranging from 3000-6000 feet above sea level. If you decide to play in the snow at Palomar Mountain State Park, an Adventure Pass is required. Take a behind-the-scenes guided tour of Petco Park where you will have the opportunity to visit the press box, learn about the historic Western Metal Supply Co. Building and explore the Padres dugout. Tours are available seven days a week for individuals, families or groups smaller than 25. Tickets are available online. Presidio Park is located on a hill above Old Town State Historic Park. You can see Monarch Butterflies roost in the Canary Island Pine trees along each side of Cosoy Way. In November, the butterflies can be seen in the eucalyptus trees. Queen Califa’s Magical Garden is an unusual sculpture garden created by the late famous artist Niki de Saint Phalle. There are only four of these gardens in the world and only one located in the United States in Escondido. The Garden is open to the public a few days a month, weather permitting. Docents are available to answer questions. The Garden may also be visited by groups of 10 or more by making pre-arranged reservation by contacting (760) 839-4000. Since 1973, the Reuben H. Fleet Science Center (“the Fleet”) has been inspiring minds and bringing hands-on science to the San Diego community. At the Fleet, you can create colored shadows, design images with a sand pendulum, examine the vibration of guitar strings and engage with a variety of intriguing scientific phenomena via more than 100 “do touch” exhibits for all ages. The Fleet is home to the Heikoff Giant Dome Theater, presenting immersive IMAX films and digital planetarium shows. The Fleet Education Department develops and implements a wide array of educational and innovative programs and exhibits to promote lifelong learning and a deep appreciation of science and technology for the entire community. As an informal education and inquiry-based institution, the Reuben H. Fleet Science Center offers a number of activities designed to immerse your students in an interactive science experience. Field Trips and classes are offered year round. Aviation history is truly a remarkable story, and it all unfolds at the San Diego Air & Space Museum. Your journey through the history of flight begins as you stand beneath a model of the Montgolfier brothers’ hot air balloon of 1783 – the first manned vehicle in recorded history to break the bonds of gravity and lift humans above the Earth. Rare specimens of aircraft suggest the excitement of air combat in the World War I Gallery. Marvel at the entertaining and dangerous antics of the barnstormers of the 1920s in the Golden Age of Flight Gallery. Mint condition aircraft in a mint condition museum – a Spitfire Mk. XVI, a Navy F6F Hellcat and an A-4 Skyhawk jet – these beautifully restored airplanes help you appreciate the increasingly complex technology represented in the classic military aircraft of World War II, Korea and Vietnam. The Center Museum has changing exhibits and hands-on activities that explore 10,000 years of history of the San Diego region through the archaeological record. Learn about the life-ways of early Native American hunter-gatherers who lived in the region and the many groups and immigrants who have contributed to the region’s archaeological record. The Education Department will customize a field trip program to fit the needs of homeschoolers and K-12 school groups. Minimum of 15 students, maximum of 70 students. Chaperones are free. Rotating exhibitions plus a regular collection that includes a 1948 Tucker and Louie Mattar’s Fabulous $75,000, as well as a large collection of motorcycles and memorabilia. The mission of The San Diego Automotive Museum is to tell the story of the social and technological past, present, and future of motorized vehicles through its collections, exhibitions, and educational programs. The San Diego Automotive Museum’s Educational Programming offers the children of San Diego an opportunity for a number of educational experiences. The automobile represents a wide range of subject matter, from Social Studies (including local-national history), to science and physics along with technology and art. An urban oasis, featuring rare bamboo, a tropical rain forest, California native plants, and the West Coast’s nationally-acclaimed Hamilton Children’s Garden. Enjoy four miles of trails amid 37 acres of over 4,000 plant varieties, restful vistas, flowering trees, majestic palms, and the nation’s largest bamboo collection. Thanks to San Diego’s mild climate, plants from all over the world thrive here. The garden offers a variety of different group tours designed to meet the needs of all ages and interests including docent-led groups, self-guided tours, scout troops, school field trips and preschool groups. Set sail on the museum’s Explore Discovery sailboat, experiment at the Magnification Station, and discover nature in the Children’s Discovery Garden. There’s even a toddler area for the little ones. Serving children ages 0-10, SDCDM focuses on these critical years of child development while also encouraging families to learn together. Through professionally designed exhibit spaces and programs, children engage a wide range of concepts about science, art, and world cultures. Whether children are playing musical instruments, putting on costumes to perform, or building structures out of recycled materials, children are able to combine learning with creativity for an educational experience all their own. Enjoy a docent-led tour of the San Diego Chinese Historical Museum’s permanent collection and featured exhibit! Museum tours are held the first Saturday of every month at 11:00am for the general public. School tours are held year round. The Federal Building is the third home for the Hall of Champions. In 1959, Robert Breitbard arranged for space in Balboa Park and established the Hall of Champions as a non-profit sports museum. San Diego’s sports history soon outgrew the facility, prompting a move to its grandest home when refurbishing of the historic Federal Building was completed in 1999. See exciting exhibits like the Padres, Chargers and surf history exhibits or get your photo taken in the Athlete Hall of Fame. The San Diego International Airport Authority offers a free tour called Terminals To Tarmac. The tour is of the airport and airfield, including up-close looks at the runway, endangered species areas and public art. Tours are two hours long. At 27,000 sq. ft., the San Diego Model Railroad Museum is one the largest indoor model railroad displays in the world and the only accredited railroad themed museum in USA. The individual HO and N scale layouts are among largest of their type. Construction of the model railroads is accomplished by volunteer club members. With an interactive Toy Train Gallery, the San Diego Model Railroad Museum is fun for the whole family. The museum offers field trips for students year round. theNat mission is to interpret the natural world through research, education and exhibits; promote understanding of the evolution and diversity of southern California and the peninsula of Baja California; and inspire in all a respect for nature and the environment. theNAT School’s Programs are dedicated to providing quality science education to students in our community. By focusing on Earth and Life Sciences, and adhering to California State Standards, their classes are led by Museum-trained Docents and professional educators who bring passion and enthusiasm for natural history to your students. With many classes and programs to choose from, e.g., “Read a Rock,” “Incredible Insects,” and the overwhelmingly popular “Autumn Harvest,” their educators and Docents work with students and share the actual specimens that are thousands and sometimes even millions of years old. The San Diego Zoo in Balboa Park houses over 3,700 animals of more than 650 species and subspecies. They offer guided and self guided field trips for preschool – 12th grader year-round. Admission is free for all students in San Diego County during the traditional school year. Non-San Diego County schools receive reduced admission. Guided tours are offered year-round and include a bus tour, behind-the-scenes visits, and up-close animal encounters. 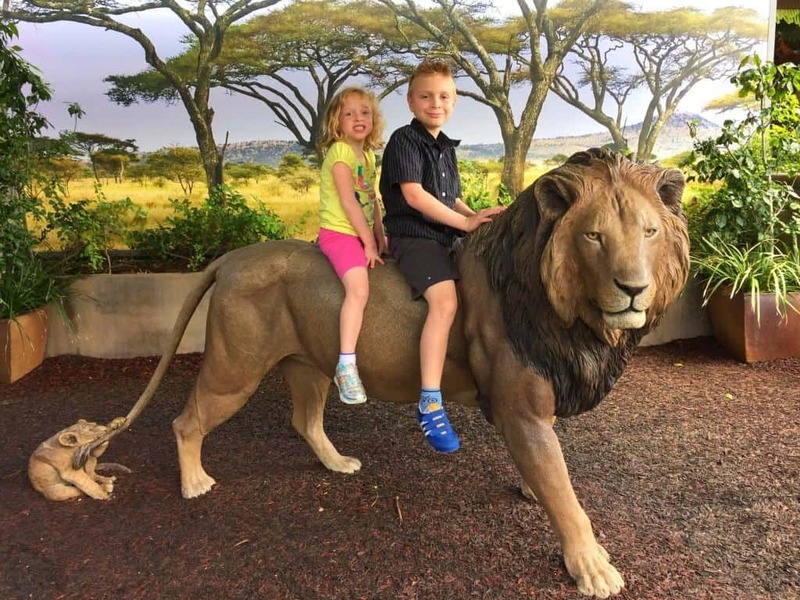 The San Diego Zoo Safari Park also offers field trips for preschool – 12th grader year round. Admission is free for all students in San Diego County during the traditional school year. Non-San Diego County schools receive a reduced admission. 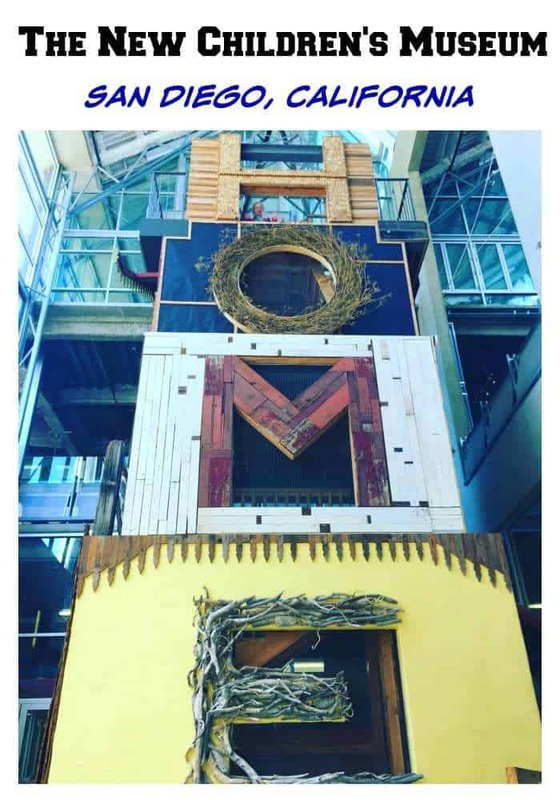 The New Children’s Museum empowers children to think, play and create through participatory exhibitions, engaging art-making activities, captivating artistic performances and in-depth educational opportunities. Serving all ages, from toddler to teen, NCM inspires new ways to see the world through the language of art. Including a cafe, abundant seating, quiet space for parents and infants and an outdoor park, the Museum provides a comfortable and engaging environment for the entire family to enjoy together. The New Children’s Museum offers tours for schools and other groups ranging from pre-kindergarten to high school, college and more. In addition to a tour, groups can choose to participate in a studio art project led by trained Teaching Artists. At the history center they offer the following programs for school groups including Stories of San Diego, Mapping Balboa Park, Ingenious! The World of Dr. Seuss and The Lore Behind the Roar. The San Diego Museum of Art, the region’s oldest, largest and most visited art museum, provides a rich and diverse cultural experience for almost 250,000 visitors annually. Located in the heart of beautiful Balboa Park, the Museum’s nationally renowned permanent collection includes Spanish and Italian old masters, South Asian paintings, and 19th- and 20th-century American paintings and sculptures. In addition, the Museum regularly features major exhibitions from around the world, as well as an extensive year-round schedule of supporting cultural and educational programs for children and adults. Docents provide guided tours for students in grades K-12 of the Museum’s permanent collection and special exhibitions. Tours include discussions as well as demonstrations of techniques and materials used by the artists. School tours fulfill the standards of the California State Framework for the Visual Arts: Artistic Perception, Creative Expression, Historical and Cultural Context, and Aesthetic Valuing. Seabreeze Organic Farm offers a farm stand, cooking and nutrition classes, a U-pick operation, organic fruits/vegetables and farm tours by reservation only. Spruce Street Suspension Bridge was originally designed to provide pedestrian passage across a deep canyon, which isolated developing neighborhoods from the newly built trolley lines on Fourth and Fifth avenues. Located just west of First Avenue, it is the only one of its kind in San Diego. The beautiful 375 feet walkway floats among treetops and sways with the way of the wind. The bridge is attached to steel suspension cables which are then anchored to massive concrete piers hidden beneath the soil at both ends. From the center of the bridge you can see San Diego’s downtown skyline. It is free to walk across the bridge anytime except when it is closed between 10 pm – 6 am. Suzie Farms offer a variety of ways to experience their beautiful 140-acre farm, located just south of Imperial Beach. The farm is ever-changing and can be visited at any time during the year as a way to deepen your connection to your food, broaden your understanding of how a farm works, or simply enjoy a day out of the city. School tours take a 90 minute exploration of our fields while tasting crops and learning about organic agriculture. Identify various plants, visit the chickens and discuss farming as we walk among flowers and crops. The Water Conservation Garden has nearly five acres of displays that showcase water conservation through a series of beautiful gardens, such as a native plant garden and a vegetable garden, as well as how-to displays such as mulch and irrigation exhibits. Admission is free, and the Garden can be viewed on a self-guided tour or through one of their programs. Ms. Smarty-Plants award-winning programs inspire young people through interactive and engaging hands on learning in water conservation and stewardship of the earth. Taylor Guitars is one the country’s best known guitar makers. They offer free guided factory tours ever Monday – Friday at 1 p.m. The maximum group size is 10 people. Reservations are not required. You just show up and go! The Tijuana River National Estuarine Research Reserve preserves, protects, and manages the natural and cultural resources of the Tijuana River Estuary by focusing on research and education with compatible recreation and resource use. The Reserve encompasses beach, dune, mudflat, salt marsh, riparian, coastal sage scrub, and upland habitats surrounded by the growing cities of Tijuana, Imperial Beach, and San Diego. 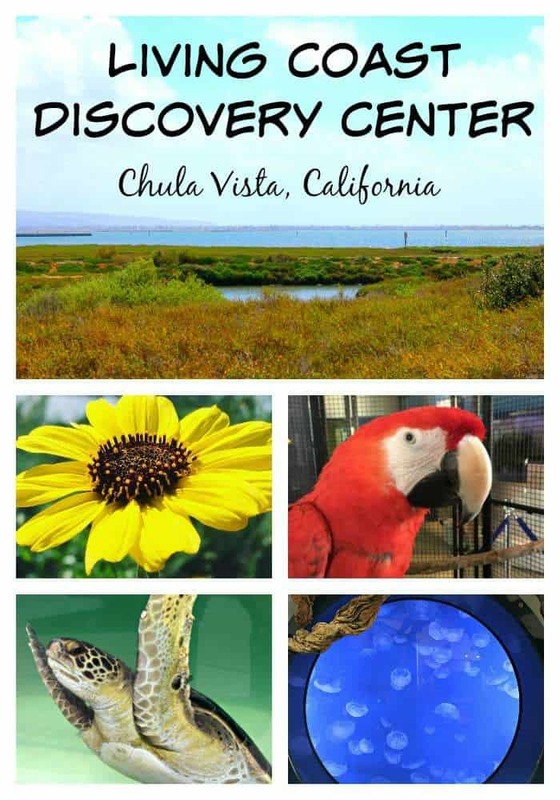 The Tijuana River National Estuarine Research Reserve has exciting, hands-on education programs for students as well as tours, informative lectures and other outreach opportunities for adult audiences. Affectionately known as a “jewel box” of fine art, the Timken Museum of Art in San Diego’s historic Balboa Park is home to the Putnam Foundation’s world-class collection of European and American masterpieces. Located on the Plaza de Panama, it is the only art museum in Balboa Park with free admission. Offered daily, free docent-led school tours explore highlights of the permanent collection and special exhibitions. Tours may be half hour to one hour long. An instructor must accompany college classes and K-12 classes must include one chaperone per ten children. 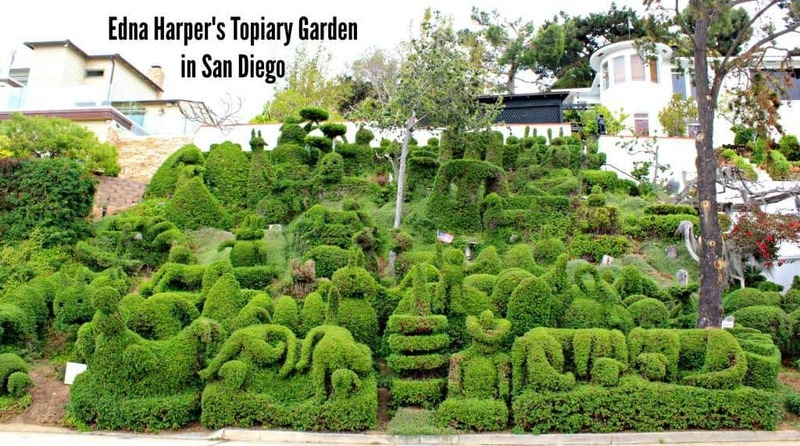 Edna Harper’s Topiary Garden in San Diego is made of 50 or so whimsical characters including elephants, whales, a rooster, a bunny, and Mickey Mouse. It is free to visit. However, just be sure to stay on the pathway and enjoy the garden from afar. Adventurous learning awaits students 2-8 grades, teachers, and chaperones aboard the Midway. Our “On Board With” programs enable Midway to become a one-of-a-kind learning laboratory for a variety of exciting topics that are specifically designed to teach the California Content Standards in Science, Math and Social Studies. They provide a docent-led tour for large groups. Advance reservations are required. Group tours are available for large groups. Call for complete details. The Whaley House is a classic example of mid-nineteenth century Greek Revival architecture, formally dedicated as a historic house museum on May 25, 1960 and has been open to the public ever since; it is one of southern California’s most popular visitor destinations. Over 125,000 people visit the house annually, with guests traveling from across the globe to experience this world-renowned museum. The Whaley House is a fine example of how a well-to-do family would have lived in San Diego during the 1860s and ’70s. As home to an early county courthouse, San Diego’s first commercial theater, and Mr. Whaley’s general store, the possibilities for education are many. School tours include a presentation of Whaley House history with a Q & A session in the courtroom by a knowledgeable docent in period attire, followed by a self-guided tour of the Whaley House and grounds. Tours are for students in 1st through 12th grade. Wild Willow Farm & Education Center is a six-acre working farm located less than three miles from the Pacific Ocean and two-thirds mile north of the Mexican Border. The farm is nestled along the banks of the scenic Tijuana River, and borders the river’s stunningly beautiful estuary nature preserve. Wild Willow Farm field trips typically last from 1.5 to 2 hours depending on your needs. Visitors are split into groups and rotate through three to four hands-on activities, including light and easy farming and interactive lessons. Farm tasks include planting, weeding, watering, bed-building,composting, mulching and more. Soil and Water: Beyond Mud! Irrigation Methods: The Tinker Toys of Gardening! Since 1997 the Women’s Museum of California evolved into a full-fledged women’s history museum and valuable community educational resource. With the help of many volunteers and a dedicated staff, the WMC features a variety of changing exhibits and displays on women’s history, sponsors workshop and lecture series, develops and implements educational and cultural events, including art shows, live performances and presentations; maintains a library and archive & collections. Group tours give you the opportunity to learn more about the Museum Gallery, Museum Store, Museum Archives & Collections as well as the history of the Museum and it’s origins. Tours are available Monday-Saturday before or after business hours when the Museum is closed to the public. Group tours are approximately 1 hour and led by a Museum Docent. Historic Old Town San Diego is the birthplace of California where the first Europeans settled. There are over17 historic points of interest and the finest in professional theatre, museums, artisans, galleries and shops all within easy walking distance with free live entertainment, mariachis, dancers, period attire docents providing tours and more. They offer an official field trip program for all 4th grade students. 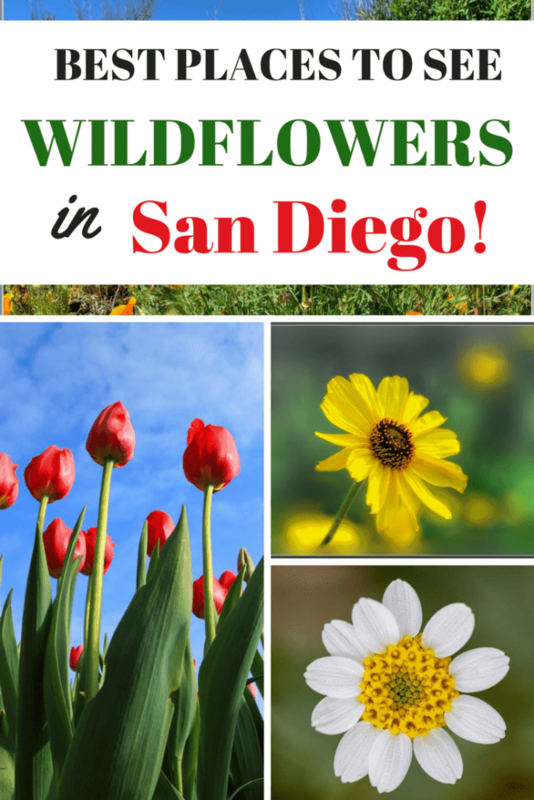 San Diego is a wildflower enthusiast’s paradise! From the annual Flowers Fields in Carlsbad to the beautiful backcountry roads on the way Julian, there are numerous places to stop and enjoy the sprauling wildflower fields in San Diego. There are also many opportunities to join other wildflower enthusiasts. It would be wonderful if you’d add EcoVivarium Living museum to your list! We are a hands-on nonprofit museum featuring live reptiles, amphibians, and arthropods. We teach science, history, culture, arts, language arts,math, and more through hands in tours of the museum. Field trips with labs, Explorers Club, and public tours available. Founded and run by a homeschool mom.